Age of Sail adventure Abandon Ship will head for the open waters of Steam Early Access February 21. There’s a brand new trailer out now to mark the imminent launch. Take command with one of our favorite simulation games on PC. Inspired by the naval oil paintings of Willem Velde and James Wilson Carmichael, Abandon Ship bills itself as blending the ship management of FTL with the action of the film Master and Commander: Far Side of the World. There’s more to deal with than mutiny and privateers, though – the uncharted seas contain many terrors, and one scene in the trailer shows a ship fending off the tentacles of a gigantic kraken. 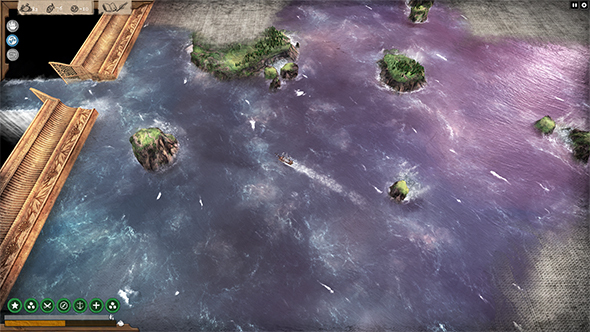 Abandon Ship was developed by Fireblade Software, and will be on sale on Steam at a 15% discount when the Early Access build goes live. Correction: An earlier version of this story stated the game was leaving, rather than entering, the Early Access program.